Q: Looking back at the past, why do you believe that the current U.S. administration has chosen a policy of dialogue and has extended its hand to Tehran? A: The reason is because the previous policies of exclusion, isolation, and non-communication were not fruitful. It increasingly made no sense given that Iran is the most populous nation in the Gulf with more than 80 million residents, which is more than the seven other gulf countries combined. In addition, Iran has in the past played a very important role in the region. For a growing number of critics and analysts, it had become ever more difficult and unreasonable to continue trying to exclude or punish the Islamic Republic if one viewed the matter from a geopolitical and strategic standpoint. Certainly, the prolongation of conflict and tension between the United States and Iran would be a dangerous path to take. It would also likely come with an expensive price tag. With a view to avoiding such outcomes, President Obama decided to take a risk. He extended his hand to Iran. He did so with a view to achieving a new era in Iran’s relationship with the United States, the region, and the world. Q: What is increasing the doubts of those skeptical of Iran’s intentions concerning this agreement? A: People’s intentions are among those human characteristics that are the hardest to comprehend or measure. For many, the elusiveness of understanding why this or that is being done or not done can, in and of itself, be unsettling. Quite often, it does not enhance confidence. People who want to take risks, and by doing so seek to be better able to anticipate, plan, and prepare, are understandably almost always upset and offset by suspicion and uncertainty. The Iranian nuclear agreement represents an effort to put what has been an extraordinary range of uncertainty and suspicion in the rear view mirror. Only thus, the agreement negotiators reasoned, will people be able to proceed in a more responsible and effective manner in planning and anticipating their near-term future. Members of Iran’s Revolutionary Guard attend the anniversary ceremony of Iran’s Islamic Revolution at the Khomeini shrine in the Behesht Zahra cemetery, south of Tehran, February 1, 2012. Photo: ©REUTERS/Raheb Homavandi. Q: Do you believe the conservatives in Iran could threaten the implementation of this agreement? A: Yes. If one is talking only or mainly about Iran’s so-called conservatives, they could indeed be a threat to the agreement. 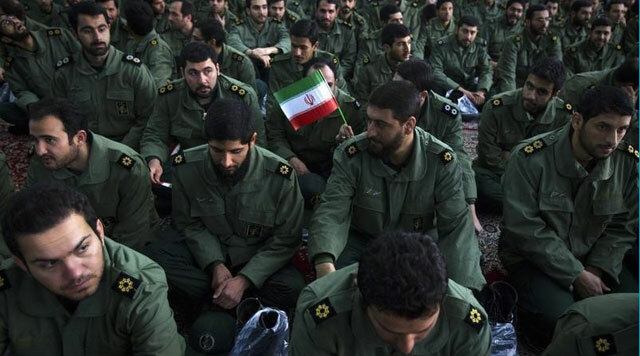 However, in this regard, too little is known about the ultimate objectives of the Iranian Revolutionary Guard other than that it is reportedly the bastion of the country’s conservatives. One would do well to know more about the Guard’s power, its position within the structure of Iran’s system of governance and political dynamics, its regional and domestic influence, its revolutionary fervor, image, and reality — and, specifically, its position vis-a-vis the agreement as a whole. If the Guard’s revolutionary fervor is directed internally as Stalin directed the revolutionary fervor in the Soviet Union, then it won’t likely have as much effect on the agreement as it would if it were to adhere to a Trotsky variant of revolutionary ideology. The latter, inasmuch as it would likely compel the Guard to increase and expand its influence abroad, could threaten the prospects for the agreement’s passage not only in Iran but its acceptance internationally as well. Further, if the country’s interventionist elements were to have the upper hand in the matter, this will likely cause a serious problem in the region. Why? Because one is talking about non-Iranian Arab countries like Lebanon, Syria, Iraq, and Yemen, where the Guard has a significant and radicalizing presence as well as allies and partners. If the Guard were not to withdraw from or significantly reduce the nature and extent of its presence and activities in these countries, now that the agreement has been reached, then the prospects for the agreement’s smooth implementation will be lessened. For now, however, one has little choice other than to wait and see. Q: What do you think are the main hurdles that could prevent the implementation of this agreement? A: One hurdle that could prevent the agreement’s implementation is the number of parties arguing how the agreement is seriously injurious to their legitimate interests and ambitions. Considerations such as these could prevail over the agreement’s proponents. But such an outcome is not at all certain. The winners in this agreement, actual, potential, or possible, are not small in number. Neither are they limited in reach or extent of impact or effect. The winners could be all of those who pushed for the agreement: namely, The P5+1 members (China, France, Great Britain, Russia, and the United States plus Germany), the European Union, and the United Nations. Seldom have there been as many large and predominant international organizations, in addition to other factors, forces, and actors in favor of such an international agreement, all being in alignment to bring it to its conclusion. Moreover, many see the near-term opening up of markets in Iran to more than 80 million consumers. More than a few are interested in investing in the energy sector. Iran has bountiful hydrocarbon energy deposits not only onshore but also offshore in the Gulf and in the Caspian Sea. 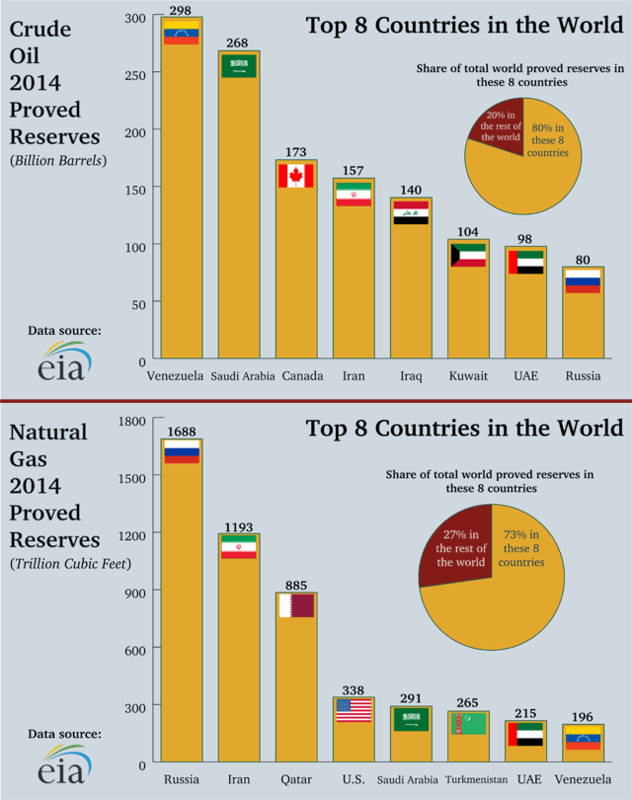 Few if any other countries have such an extraordinary and diverse geographic range of hydrocarbon energy resources. These and others perceive themselves to be among the winners as a result of the agreement.